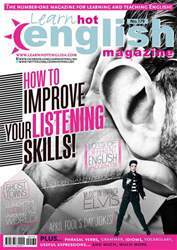 Digital Subscriptions > Learn Hot English > 179 > WHAT DO YOU LIKE ABOUT FLYING? You’re going to listen to some people talking about flying and airports. Make a list of the things you like or dislike about flying and airports. For example: I hate the delays, I like meeting people on the plane... Then, listen once. Were any of your ideas mentioned in the conversation? 1. What did one of the female speakers lose once? 2. How long was her flight delayed?